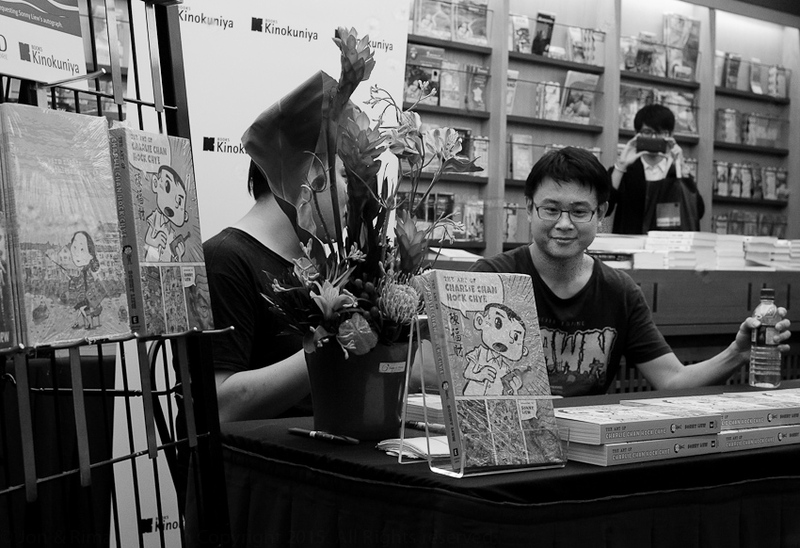 Sonny Liew’s The Art of Charlie Chan Hock Chye was released internationally by Pantheon Books last week to overwhelming critical acclaim. Crumbs, Charlie Chan even made it to the book pages of The Economist & the airwaves of NPR. This must make Charlie Chan the most critically successful Singaporean book of the 21st century. 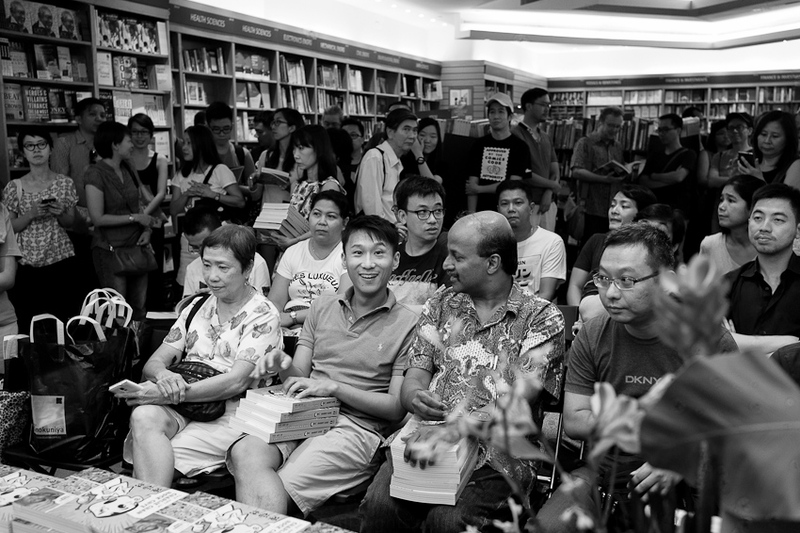 The hope is that this success leads to greater interest in other Singaporean writers and artists. 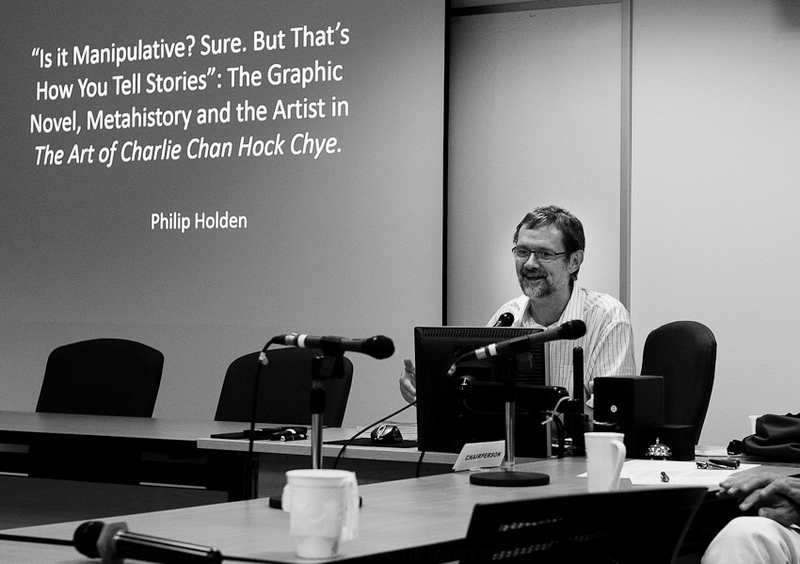 Last November, Professor Philip Holden gave a fascinating talk on The Art of Charlie Chan Hock Chye at the National University of Singapore. It was quite an occasion. The room was packed. 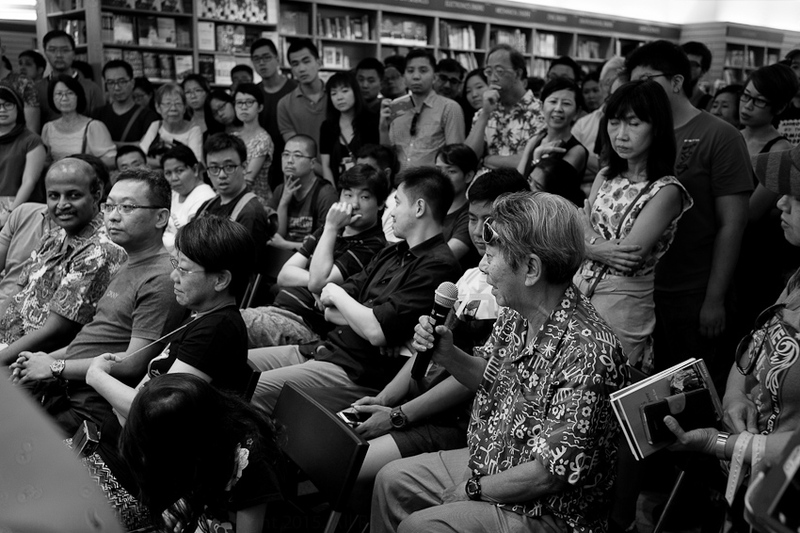 Edmund Wee, Dan Koh, Jason Eric Lundberg, Laremy Lee, Amos Yee were all in attendance. Even Sonny turned up half way through. I think this is key to the book’s success. The book covers so many themes that relate not just to a Singaporean experience (how the individual relates to the state & the enormity of LKY in the Singapore Story), but on a broader level to so many (like myself, who have laid down ‘roots’ in Singapore) looking back on their their past, at what has been left behind: neglected creative urges, choices made between comfort and security and the passions of youth, and the sacrifices made in pursuit of wealth over art. How fiction rethinks the dominant narrative of the developmental state and the ‘Third World to First myth’ in Singapore, and critiques the priorities and privileges of pragmatism and common sense - housing, education, transport, security etc - over artistic, creative values. Artists and writers have explored this for a long time in Singapore but no-one’s ever done it quite like Sonny. 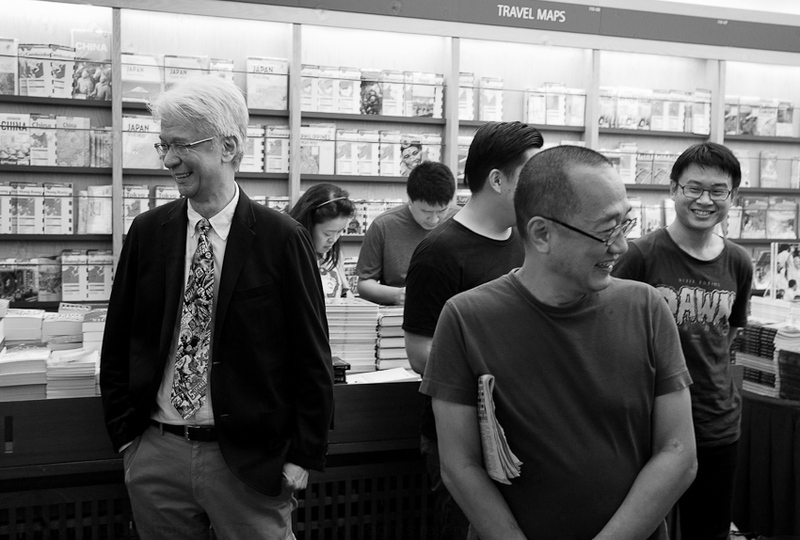 The development of Singlit from allegories of national identity, post colonial expatriate Singaporean paeans to nostalgia and home, through to more individual stories of excluded minority identities and now to the outer reaches of historiographic metafiction. When I read Charlie Chan the first time it reminded me of the individual vs the state/corporatism stories (Troy Chin's Resident Tourist, Simon Tay’s City of Small Blessings and Philip Jeyaretnam’s Abraham’s Promise). Charlie Chan explores this theme with a protagonist who is passive in the face of the State - but resilient in his quiet pursuit of his art. It is in acts of the imagination that the protagonist finds agency, despite the lack of material and public success this brings. Charlie Chan's Welsh rarebit dream is coming true (see pg 109). There is a lot in the book to explore on aspects of fiction writing craft e.g. the role of the author, implied author, the reliability of the different modes of narrator, the use of the documentary mode, stories within stories, how written text interplays with the graphic styles, the protagonist living within his own creations etc. This analysis will have to wait for another time. How the text presents not just alternate realities but explores the way all historical narratives are formed. How the text, as a form of historiographic meta fiction, doesn’t just present a representative character as the proper subject of history but presents an unreliable, marginal character as protagonist to carry the narrative forward and provide fresh perspectives on historical narratives. Charlie Chan is not just unreliable and marginal, he is grumpy, solipsistic, and a dreamer. His story is not a presentation of objective history, but about his own path towards coming to terms with his place in the world (‘the routes of his story’) as he grows old and looks back on his life. This emphasis on a subjective story prioritises ‘routes’ over ‘roots’ (see Stuart Hall). The process and conditions for generating history are the key. I think this is one of the reasons why Charlie Chan Hock Chye hits a cultural bull’s eye in SGP. Compare the PM’s view of history as fixed, objective, indisputable, hard truth vs the journey of Charlie Chan that has a meaning that changes & is diverse, that transcends space and time, soars far beyond reality and celebrates imaginative possibility. “Instead of asking what are people‘s roots, we ought to think about what are their routes, the different points by which they have come to be now; they are, in a sense, the sum of those differences. That, I think, is a different way of speaking than talking about multiple personalities or multiple identities as if they don‘t have any relation to one another or that they are purely intentional. These routes hold us in places, but what they don‘t do is hold us in the same place." 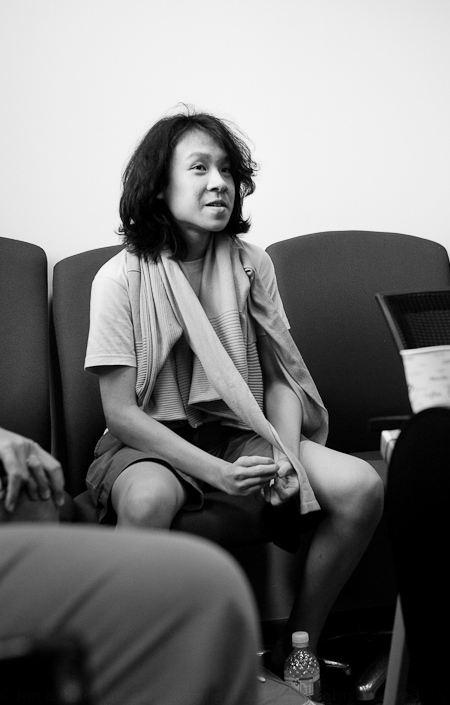 "We need to try to make sense of the connections with where we think we were then as compared to where we are now." How all history is provisional. This is the nature of history - both personal & state histories are born and bound up in each other and the way we think about our lives. The way Charlie Chan is written is the way we look at and read our own lives: in fragments, excerpts, different styles, with self deception, clarity and ambiguity, shying away from pain, cognitive dissonance, reinventing, recasting, reframing events. Always, we are nearly the hero of our own lives. The story we tell about ourselves is the truest story of all, the choices we make, and the glimpses of the other self we could have been. This is not an exhaustive list of topics discussed. The layered depth and richness of the book leaves a reader with much more to think about. 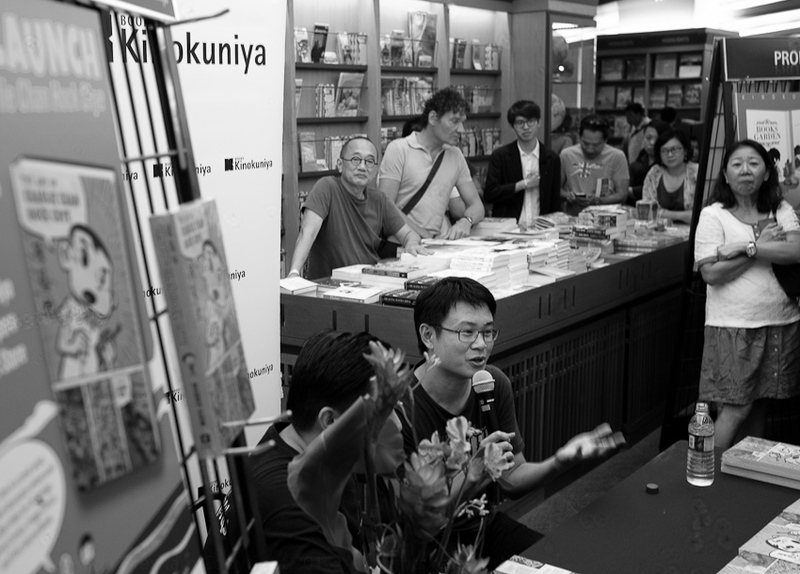 More images from the launch of The Art of Charlie Chan Hock Chye at Kinokuniya in May 2015.